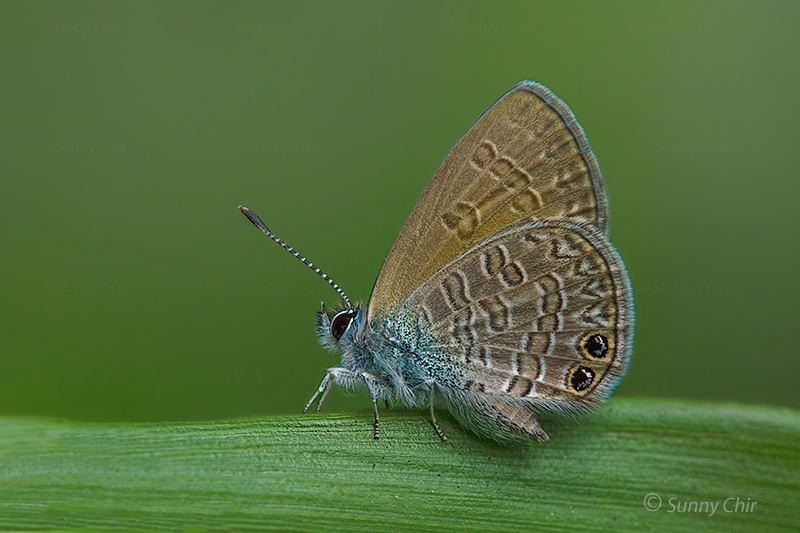 This very small Lycaenid was photographed some time back in 2004 but was kept in the "UFO folder" until more reliable sightings and a voucher specimen was obtained for validation. Finally recorded on the Singapore Butterfly Checklist in 2008, this species makes a regular appearance yearly, and then totally disappears for most of the year. When it does re-appear, there will be a breakout, with the species becoming locally abundant, particularly in the vicinity of areas where its host plant exists. The life history of this species has been recorded here. This time in 2014, ten years after a single individual was photographed, it makes its reappearance again. ButterflyCircle member Sunny Chir shot this pristine individual last weekend. For those who have yet to get a photo of this species, now's the time to go hunting for it!